Independent schools have a reputation as providers of high quality education in Australia. Independent schools are also recognised for their leadership and innovation in education, and enjoy high levels of public trust and parental satisfaction. Underpinning this success is their autonomy as self-managing schools. Self-management is the distinguishing characteristic of Independent schools, differentiating them from government schools, which are owned and managed by state and territory governments, and the 1,753 Catholic schools, most of which belong to systems operated by Catholic education authorities throughout Australia. 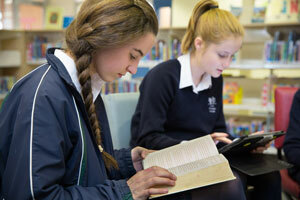 Amongst Independent schools, there are also 62 independent Catholic schools, many of them managed by religious orders. While some Independent schools belong to small systems or networks, most are managed by their own board of governors or management committee. These boards of governors or committees of management are the key decision-making bodies, accountable to their parent and school community and responsible for issues such as details of the school’s educational programs, staffing, co-curricular content, student behaviour management and current and future development. International research has established a link between school autonomy in these elements of a school’s operation and student achievement. Autonomy enables schools to respond more flexibly and innovatively to their local community and to their own students’ needs. This research evidence lies behind the support from the Australian Government and some state governments for greater autonomy for government schools. For example, the Australian Government’s $70 million Independent Public Schools Initiative, launched in February 2014, aims to help selected government schools move towards greater autonomy and encourage increased parent and community involvement. The research which links school autonomy with student achievement also points to the importance of accountability. It is where autonomy is coupled with appropriate accountability – accountability for educational provision and student outcomes as well as for responsible financial management – that it has been found to be associated with better student outcomes. Independent schools are well aware that they survive only with continued stakeholder support. They are highly accountable and have to comply with the legislative, regulatory and mandatory reporting requirements that apply to all schools. Self-governing schools are more directly accountable to their immediate communities than is possible for schools that are part of large centralised systems. Private funding contributions through the payment of fees increase the school’s accountability to parents and provide a performance-related incentive. The reality for Independent schools is that they need to remain competitive to survive, consistently meeting high parental expectations for the development of students both academically and socially. The freedom of students and their families to exercise choice in schooling is one of the most demanding forms of accountability for Independent schools. In their governance arrangements, Independent schools are expected to meet the standards of social and financial accountability applying to corporate entities or incorporated associations. Independent school governors are responsible for making sure their school meets the same standards of business operation and reporting expected of other corporations. Just like the members of a corporate board, governors are individually and collectively responsible for compliance with these and other requirements. They play a key role in ensuring schools are accountable, particularly in matters of self-regulation. School governors represent one of the largest volunteer bodies in Australia. More than 10,000 people who come from every walk of life are members of Independent school governing boards. The principal of an Independent school is accountable to the board of governors for the school’s educational programs, including how they relate to the strategic directions and ethos of the school. Independent schools must meet the criteria established by the relevant state or territory government for registration and accreditation as a school. In all states and territories, Independent school registration is reviewed on an ongoing basis to ensure that schools meet minimum standards and other requirements in relation to staffing, facilities, environment, management, curriculum and reporting requirements. In order to receive Australian Government funding, Independent schools must be not-for-profit institutions and comply with wide-ranging and detailed legislative requirements. These requirements are specified in Sections 75 and 76 of the Australian Education Act 2013. Independent schools are bound by a number of other legal requirements associated with their operations. For example, as companies limited by guarantee or as incorporated associations, they are accountable to the Australian Securities and Investments Commission, or to their state or territory registrar of associations. They must submit audited annual financial statements to these bodies, which are available for public scrutiny. They are also subject to regulation by the Australian Taxation Office and the Australian Charities and Not-for-profits Commission (ACNC). As employers, Independent schools must comply with legislation and regulations covering such issues as equal employment opportunity, industrial awards and work health and safety. As educational institutions they must comply with health, safety, privacy and child protection requirements as well as regulations relating to building and fire codes. Independent schools are required to comply with an extensive set of conditions, reporting and accountabilities attached to both state and territory and Australian Government funding. As the major source of government funding for Independent schools, the Australian Government imposes a comprehensive set of conditions and accountability requirements, educational and financial. The Australian Government requires, as a condition of funding, that all schools commit to the Melbourne Declaration on Educational Goals for Young Australians, which was endorsed by all state, territory and Commonwealth Ministers of Education in 2008. The Melbourne Declaration sets the direction for Australian schooling through to 2018. Through this commitment all Australian schools, including Independent schools, are working towards common goals in education and to the achievement of performance measures, including testing for and reporting against literacy and numeracy benchmarks. All Independent schools are engaged in the implementation of the Australian Curriculum developed under the auspices of the Australian Curriculum, Assessment and Reporting Authority (ACARA) and participate in national student assessments such as national literacy and numeracy tests (NAPLAN), and provide data for the My School website managed by ACARA. Schools and systems also provide the data required for the National Schools Statistics Collection which informs both the Schools, Australia publication produced by the Australian Bureau of Statistics (ABS) and the National Report on Schooling in Australia produced by ACARA. The development of national goals, directions and policies is for the most part a collaborative effort involving all school sectors. The Independent school sector is actively engaged in these developments. At a national level, this engagement is achieved through representation by the Independent Schools Council of Australia (ISCA) across a range of bodies, including the Boards and/or committees overseeing the operation of national bodies such as ACARA, the Australian Institute for Teaching and School Leadership (AITSL) and Education Services Australia (ESA). The Associations of Independent Schools (AISs) in each state and territory and ISCA liaise closely with relevant government bodies on behalf of Independent schools to represent the interests of the sector and to ensure that schools understand and are able to fulfil their obligations. Independent schools must demonstrate that the funds they receive under each government funding program have been expended appropriately, and must also provide extensive financial data to the Australian Government Department of Education and Training via the annual Financial Questionnaire for Non-Government Schools. Data from the Financial Questionnaire is used to analyse the income and expenditure patterns of non-government schools and school systems for both research and accountability purposes. Data on schools, students and staffing is collected also collected by the Department through the Non-Government School Census. The Australian Education Act 2013 which governs Australian Government funding for Independent schools from 2014 imposes additional conditions and accountabilities as a requirement of funding, such as the requirement for the Approved Authority for a non-government school to be a body corporate and to meet a fit-and-proper person test. More detail is available in the Guide to the Australian Education Act 2013. The steady growth of the Independent sector is evidence of public confidence in the accountability of Independent schools through a mix of self-regulation, contribution to education policies and educational and financial compliance. New Independent schools continue to be established because many parents and community groups find that self-governing schools are more accountable to their immediate communities than is possible for schools that are part of large centralised systems. Autonomy enables Independent schools to respond effectively and creatively to the needs of the students and communities they serve. Through self-regulatory mechanisms and comprehensive regulatory and accountability regimes, a strong system of accountability for government funding is in place.